Much of the below will be easier to follow with our video tutorial and I recommend using that if you are following along. It should be noted that we are making these edits using a desktop. Therefore, your mileage may vary if you are attempting this on a mobile phone or smaller tablet. 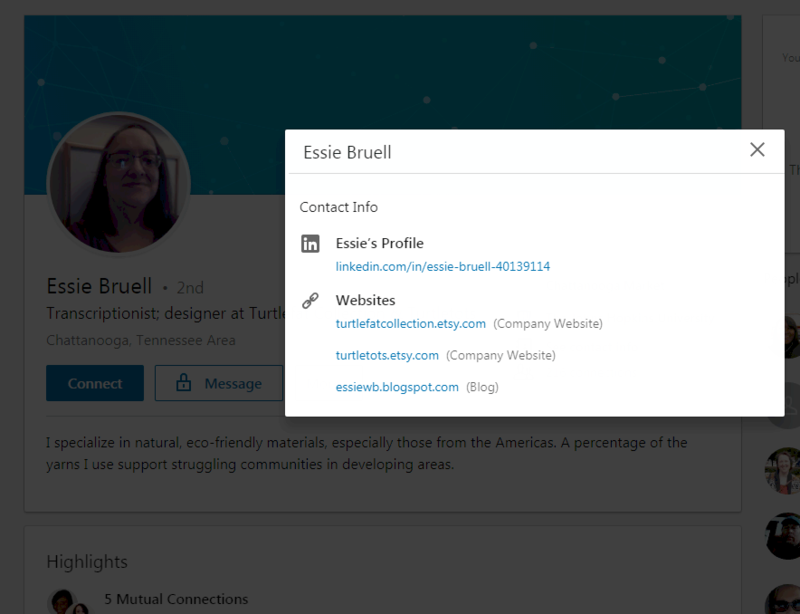 This post and the corresponding video focus on contact info editing in LinkedIn’s personal profile interface. I spend most of the time on your LinkedIn profile link url and the links section of your profile. I’ve seen this issue with many profiles as I scroll through them on LinkedIn. If you look at the front page of LinkedIn then go to your profile and then edit profile, which will take you to your profile. In the video I’m using my profile and others as examples. 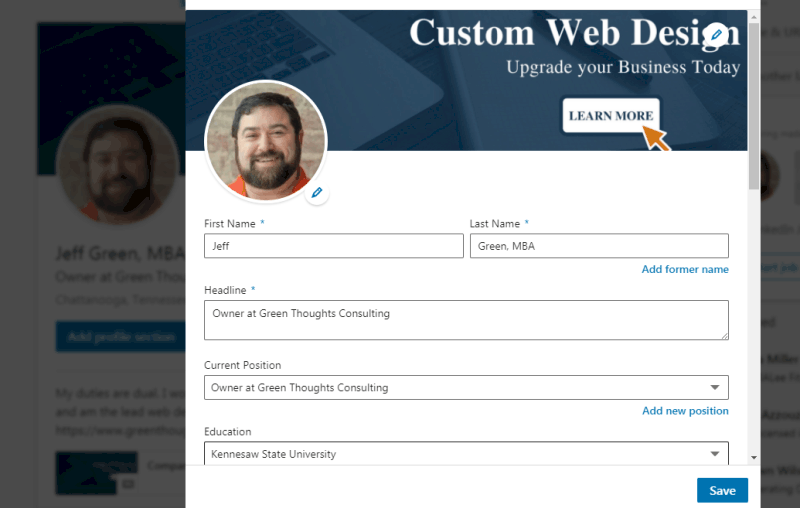 The main area that we’re going to be spending time looking at is the contact info section. Below is a screenshot of my LinkedIn Profile Page. Click on the pencil edit button just under your header on the profile, which will give you a pop up that looks like the below. Before we get into the actual optimization of your profile. I’m going to provide several examples below of real life profiles. I should note I reached out to these people. 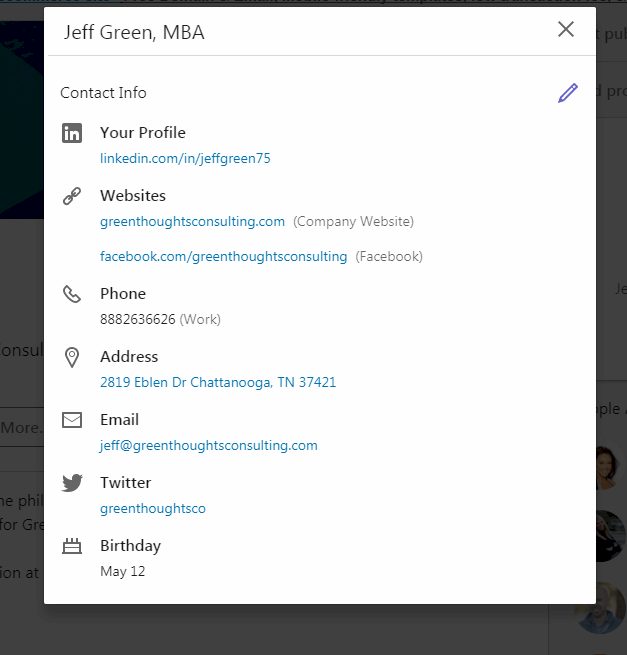 Once you get into a users profile you can click on “see contact info” and the below will pop up. 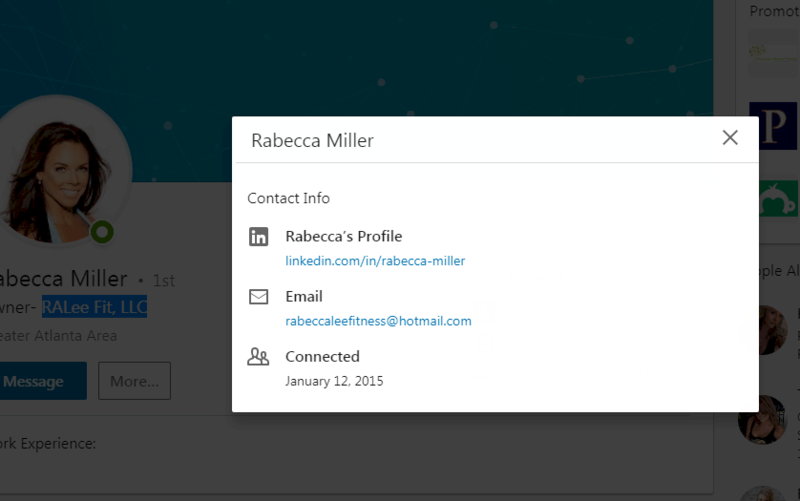 The main thing I’m looking at in this section is the LinkedIn profile url or web address associated with her account. It is a bit messy. It would look better if it were edited to remove the string of numbers after her name. Anyone can do this edit if they simply open the pop up and click the pencil in the top right. 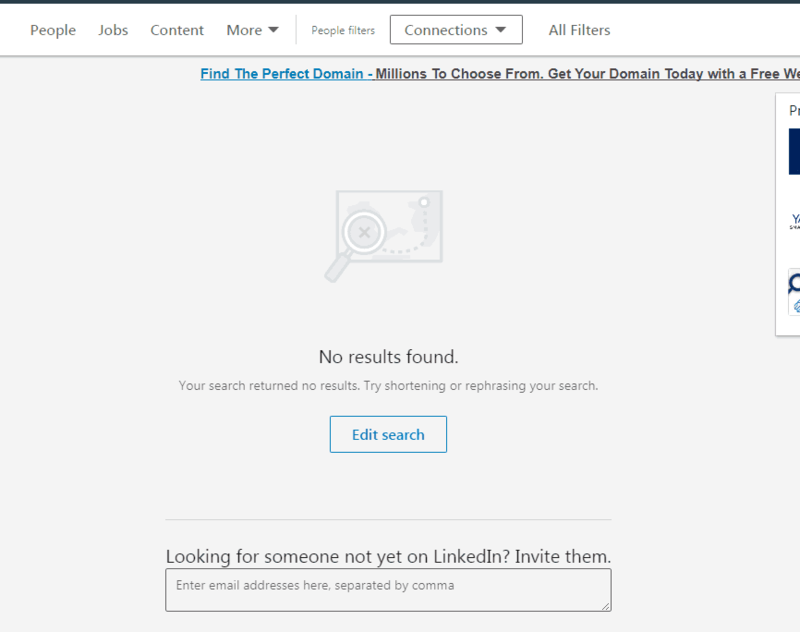 Oddly, clicking on that edit button opens yet another window when you click on the LinkedIn profile link. It’s a bit redundant, but it gets you were you want to be. Clicking the profile hyper link at top left leads to the below screenshot. 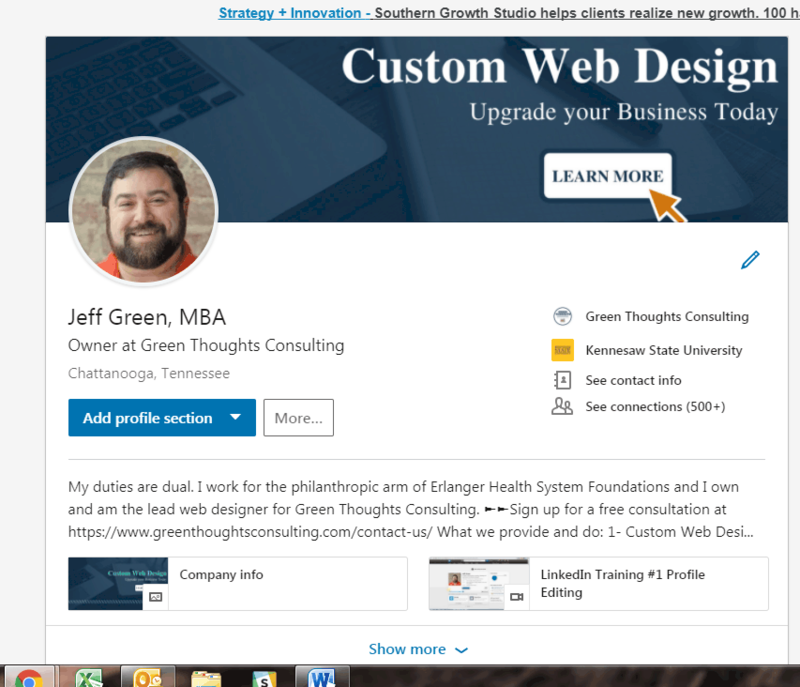 It is here you can actually edit your LinkedIn Profile url in the top right. Sometimes if you just attempt to add or make the link just your name there will be others with your name. Steve Smith anyone? So as in my case I had to add a few digits to the end of the name to get it customized. However, this still looks a lot better than a long string of numbers that is par for the course with LinkedIn out of the box. I should note when the original version of this video was released 3 or so years ago we contacted the profile example individuals in an effort to share these tweaks with them. Apparently some didn’t take our advice. Below is an example of a well done profile she has corrected the link situation from above as you can see in the screenshot below. However, her website is not included in the contact info. 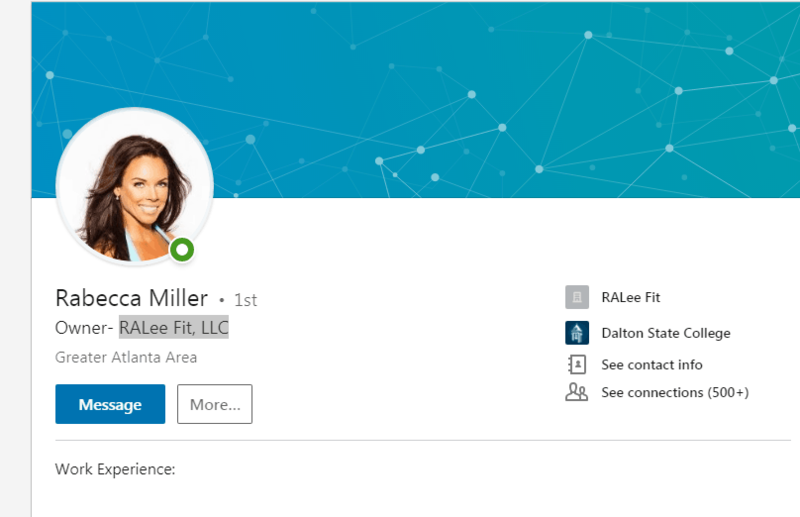 Further, there is no link to her company page on LinkedIn. In this training we provide specifics on LinkedIn Profile Tips for your Company Page optimization. As a side note I would suggest anyone with a business update their email address from a Gmail or Hotmail and use something like [email protected] it looks more professional. 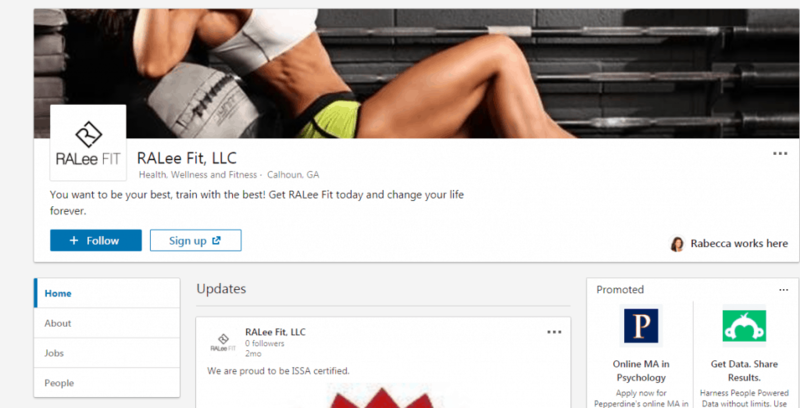 Another note on her profile is that the link RALee Fit Company doesn’t link to the correct company page. However, the company page does exist on LinkedIn. Sending a visitor to your company page and having it yield no search results is not optimal for your business. At the very least it lowers trust in the client relationship early on in the process when building trust is key. The basic idea with these company links and other websites etc provided in your profile is that you want to optimize it for as many social and websites that you are connected to, within reason. As an example you can see I’ve added Facebook to mine. Again to edit any of the info on the above screen shot you will just click the pencil button at the top of the box. 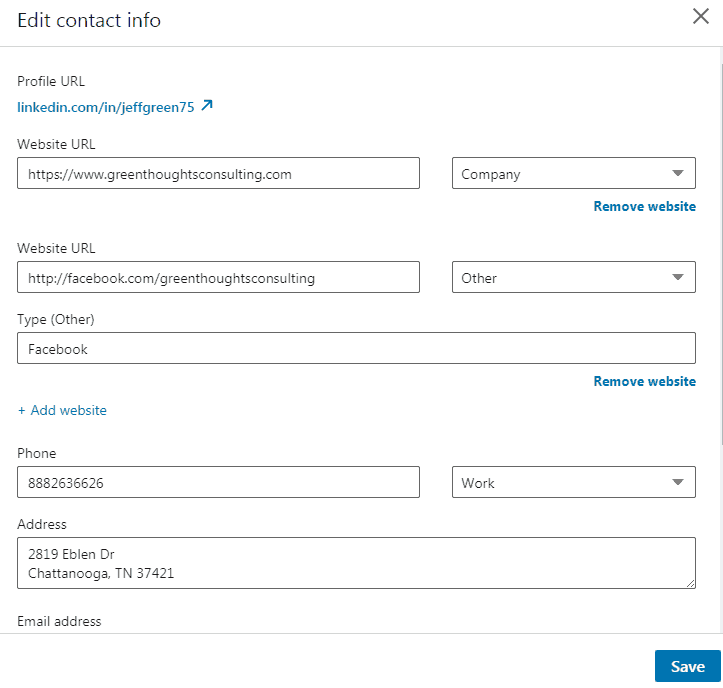 One thing that’s great and important about updating this contact info or any of your profile areas is that it is searchable within LinkedIn so if someone is looking for someone in your industry or someone with your skills it can be searched. I find it interesting that LinkedIn made the decision to include an editable Twitter box, but not a Facebook or Instagram box. You can still get those in there as I’ve done but you have to do it as a website link at the top. Well thanks for reading and look for other LinkedIn Profile Tips. Let me know if I can help you out with the optimization of your social media profiles.